Having the right types of fastening systems is essential to ensuring that your business maintains productive assembly lines, so it’s imperative that when constructing a new system, you work with a company that has the knowledge and expertise necessary to identify the correct components for your operation. 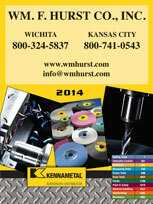 For businesses in Kansas City, Kansas, and the surrounding area, the ideal choice is Wm. F. Hurst Co., LLC. 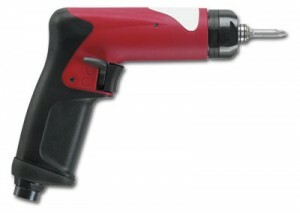 We are an industrial supply distributor that has built a stellar reputation for providing high-quality tools and equipment, earning the trust of customers for providing reliable and long-lasting solutions. Additionally, our representatives have expertise across a wide range of industries and knowledge of many specific applications, which can pay extreme dividends in helping to construct ideal fastening systems that will aid your Kansas City, KS, area company in maximizing productivity. Through the use of brand-name assembly tools and equipment, we can develop fastening systems that will deliver exceptional performance, productivity, and accountability in both quality-critical and safety-critical applications. We can help identify the tool configurations, controllers, and accessories necessary to complete a fastening system that would be best for your specific assembly operation. Contact Wm. F. Hurst today to learn more about the fastening systems we can provide, and don’t forget to inquire about the comprehensive selection of other industrial supplies that we offer, which includes abrasive discs and belts, cutting fluids, pneumatic tools, cutting tools, and much more. Our company proudly serves businesses in Kansas City, KS, and other cities throughout the Midwest.